A panel discussion moderated by David Barnard of Canadian Heritage with Quique Escamilla, Brenna MacCrimmon, Ann MacKeigan and Errol Nazareth. Blending jazz, Afro-Cuban and classical forms with world rhythms, OKAN takes inspiration from the roots of Cuban music and contributes to the contemporary evolution of these powerful traditions in a global context. Embracing genres and roles that have historically been dominated by men, co-leaders, composers and multi-instrumentalists Elizabeth Rodriguez and Magdelys Savigne bring a fresh perspective to Cuban music through their powerful vocals, incredible musicianship and potent lyrical content. Juno award winning multi-instrumentalist and singer-songwriter Quique Escamilla was born and raised in the southern state of Chiapas, Mexico. He breaks down language barriers through his powerful voice and passionate delivery while fusing traditional Mexican styles of music such as Ranchera and Huapango with modern flavours of rock, reggae, ska, pop, boleros, and other Latin American rhythms; accompanied with powerful lyrics and messages inspired by and to support social and political causes. Led by singer and flamenco dancer Tamar Ilana, Toronto's Ventanas (the Spanish word for windows) embraces North African rhythms and upbeat Bulgarian dance tunes, as well as Greek, Turkish and Sephardic love songs, and heart-wrenching Flamenco dances. KUNÉ (“together” in Esperanto), an ensemble that looks and sounds like Canada today, features top-notch musicians from all over the world now living in Canada. The members perform music which they wrote together and which can, arguably, only be created in Toronto, on instruments from many corners of the globe. Created by The Royal Conservatory in 2017, the group was originally called the New Canadian Global Music Orchestra and is now known as KUNÉ – Canada’s Global Orchestra. At this special concert, KUNÉ launches their debut, self-titled recording with Universal Music. 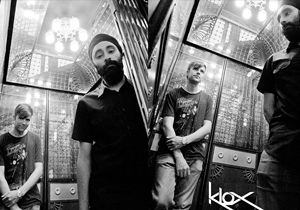 As kLoX, Gurpreet Chana 'The Tabla Guy' and Mason Bach melodically unite modulated tabla and electronically processed violin by integrating their classical training with computer aided performance technology. Sonically expansive soundscapes employing uniquely engineered rhythmic patterns will move you to explore the vast reaches of dance floor oriented electronic music. Cris Derksen is a JUNO-nominated cellist/composer originally from Northern Alberta who braids the traditional and contemporary in multiple dimensions, weaving her classical training and her Aboriginal ancestry with new-school electronics, creating genre-defying music. So Long Seven was brought together by community, and in turn, brings community together. With unique instrumentation (guitar, banjo, tabla, violin, and vocals) and richly textured orchestration, the diverse influences of the group not only span culture, but generation too – they cover four decades in age, with a member in the 20s, 30s, 40s and 50s. Toronto-based composer and santur player Sina Bathaie is known around the world for his unique style and approach toward Persian contemporary music. Born in Iran, Bathaie began studying santur at age 7 under his father, Master Javad Bathaie and learned classical repertoire (radif) on the oud and percussion. He then followed his passion in music by practicing Persian classical repertoire (Radif) with the instrument Oud and explored the concept of rhythm by learning Tonbak (Persian Percussion). 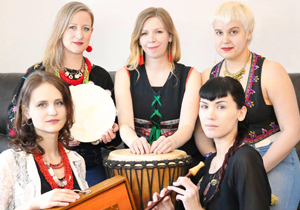 A new all-female synthesis of polyphonic Balkan and Slavic song, dance and movement backed by hypnotic percussion, Blisk represents a musical journey travelling through Macedonia, Serbia, Bosnia, Ukraine, Poland, Russia and beyond. The members of the group, all residents of Toronto, hail from Poland, Ukraine and Kazakhstan. Beny Esguerra and New Tradition incorporate a seamless array of elements: bilingual socially-conscious spoken word, beat-boxing, Afro-Cuban and Colombian secular and religious drumming, Indigenous flutes, West African balafon, funk, zouk, merengue and flourishes of 70’s Nuyorican salsa! Global Toronto is an exciting new initiative that Toronto’s world music community is undertaking. Through a partnership with several established music presenters and venues, Global Toronto will showcase the breadth and depth of the artistic talent that makes Toronto so vibrant. Taking place from April 4-7, 2018, the four-day event will feature a series of concerts at Lula Lounge, Hugh’s Room Live, Small World Music, The Royal Conservatory of Music, The Aga Khan Museum and more. Global Toronto's aim is to showcase the incredible, diverse artists who call Toronto home.